Covers insights on Search Engine Optimization (SEO), Google Search Algorithm Updates, Paid Search, Social Media to name a few . 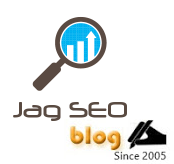 Jag SEO Blog help articles, tips and tricks are for free to educate newbie’s, web masters, online business owners and seasoned professionals! Why natural backlinks are more important than artificial backlinks? To be simple website's Search engine ranking works based on quality content and backlinks. The ultimate point we need to think about is to write fresh and informative content for users and not to write rephrasing content for Google and other major search engines. Your readers will love to give a link to your web page content only when it is found unique. This natural backlink has more weight age than your artificial backlinks such as directories submission, web page posting and so. Content that attracts readers are given more importance by Google and other search engines. Readers who link to your webpage would be high and with right anchor text your web page will be boosted link anything. Artificial backlinks needs more time and effort and to find the right sites for submission is not so easy. As per Google guidelines, paid links submission without “nofollow” attribute will be a big cause for penalty. Even if you pay for links with “nofollow” attribute, the link juice flow doesn't work like before. Instead if you put more efforts for writing quality content then over night you will have a high chance of getting more natural backlinks from your readers. Writing quality content is a onetime effort. It automatically works for you round the clock but link submission is a repeated process. It is not that you need not get links from quality human edited directory; it is as simple as that you need to give more importance to write quality content to get natural backlinks and it grows as it reaches mass audience. Through researches it is found that natural backlinks brings more relevant users and conversion level is high. Here are the lists of common questions I see in my Google Analytics. Below is the straight answer to the questions that would help the SEO starters. (1) How to get pages indexed on Google, Yahoo & Bing? (2) How to list your website with Google in one day? Add your site to Google (www.google.com/addurl) and also configure your site to Google Webmaster tools (www.google.com/webmasters). 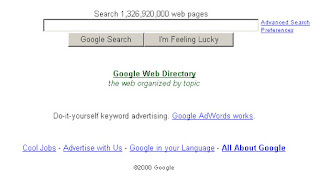 Use www.yourdomain.com to check whether your site is included in Google. And if you are expecting to list you site for the site keywords then it would take time. 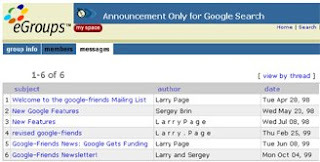 Google lists the site based on the website popularity and website structure. This is a long term process. (3) How to make sure your content is SEO ready? You can check the keyword density of the content WRT to your service or products. Compare your content with your competitors. Write content for your visitors and not for search engines. (4) How to submit website to Google, Yahoo & Bing search engines? (5) How to use Meta tags to improve Google ratings? Use unique Meta tag content for pages and the Meta tags should be explaining all about the page. Meta description is more important and Meta keyword is least important. (6) Is there any difference on how Google ranks h1, h2, h3, h4, h5 & h6? H1 to H6 tags are used to show the importance of the page body headings. H1 is large in font size and H6 is small in font size. (7) What are the basics of SEO html? Unique title for pages, Meta tags, H tags, < p > tag and Alt attributes. (8) What is difference between Google analytic and webmaster tool? Google Analytics shows your site's visitor’s information and Google webmaster tools show your site performance information. (9) What search words will work? (10) Does use of title attribute in links improve search rankings? Title attribute will help Google spiders to know more about the link relevancy towards the pointing content page. (11) Does Google look at the first 3 words for search titles? Google spider’s looks the pages title to know what the content is all about. Importance is given to the titles based on the page relevancy. Top content are give more importance includes Title words, Meta description and body content. (12) Can Google see dropdown as keyword stuffing? If the dropdown text helps users to understand better then it will not fall under keyword stuffing. Why do Google list lower Page Rank site higher at SERP's in comparison to high Page Rank site? Google lists sites based on the search algorithm. Some of the main factors are site authority, site search engine friendly structure, related unique tiles & tags, quality content and backlinks. If you search for your keywords and compare with your online competitors, your listing would be different based on many factors. Here many do think "how competitors site ranks well even if their Google Page Rank is low than my website". You need to understand two points, first point is that the Page Rank you see through Google tool bar or any 3rd party online tool is of old data. These are tracked for Google’s internal references and they are no more related to SERP’s. And point 2, site SERP’s varies based on content and quality backlinks with right anchor text related to the site subject and also sometimes there would be difference based on keyword page you focus. Keywords in home page ranks well then keywords in inner page. So compare all these SEO factors with your site and improve your SERP’s. SEO is not just about keywords in page content and link building; SEO has to be implemented in technical side too. If you are thinking of improving your SERPs and traffic, you need to follow the below mentioned SEO technical tips. (1) Make sure you 301 redirect http://yoursite.com to http://www.yoursite.com (or either). (2) Sort your site duplicate content issue by 301 redirection from http://www.yoursite.com/index.php to http://www.yoursite.com (goes with all page extensions like /.asp, /.htm, /.aspx and so). (3) Have your site page URL search engine friendly. A page URL should not look like www.yoursite.com/innerpage?id=203. Have it with the desired page name, something like www.yoursite.com/203/your-name. (4) If your site has N number of page and also if you post couple of content every day then it is recommended to have dynamic web sitemap & XML sitemap. (5) Improve your site speed by resolving errors and optimizing image size. (6) Have unique title for all dynamic pages. You can hard-code the system to have the page name in titles (Services or products). (7) Configure custom 404 page for your website or point 404 to you sitemap. (8) Use Google webmaster URL removal tool to get rid of unwanted page & broken link index. (9) Use rel=" nofollow" to a link un-trusted page i.e. when you refer to a content through a link. Follow the above technical SEO tips for your site and see the improvement in ranking and traffic. If you have clarification, feel free to contact me. We all know that Google Webmaster Tools provides query information, impressions, clicks, click through rate, and search phrases average position. And Google Analytics data is all about happenings after a visitor chooses to visit your site. All these days we need to extract the data individually and need to create a report. Now we have a way to integrate these two great tools. If you are interested, you may sign up and integrate. Once you integrate Google Analytics & Google Webmaster tools, in Google Analytics you will see a navigation link "Search Engine Optimization" under "Traffic Sources". How SEO's mistakes turns to black hat SEO? Black hat SEO is not only about keywords hiding or getting links from link farms and link distribution software’s. This also involves the SEO methods that don’t follow Google's, Bing's or any top search engine guidelines. Still many SEO's think keyword stuffing will work or they think they are doing the right way without checking the site keyword density and it can bring those organic results. This is again one form of black hat SEO. Here is the Google guideline on "Keyword stuffing". Inlinks bring popularity to your websites and link juice gets your listing top. Natural links are good and you can get those links by attracting your readers with quality contents. But many do go for paid links and it results in violation of guidelines. Here the guidelines on "Paid links". SEO is a process that should be taken care by following guidelines. If you don’t do so then you have high chance to get penalized. As well have your content unique and quality. Do not have copy content, modified / rephrased content or content scraper that can lead your site to get penalized. Will Google Buzz help SEO's? Link exchange guys send their mails with information and criteria for reciprocal links. As Google buzz launched few days back, is based on a Gmail service that has a follow and unfollow system like twitter with a revolutionize in concept having an option to post comments to individual followers, showing liking to the buzz among the followers and emailing the buzz to desired people. Feel free to post your comments on how Google Buzz can be used. Does Google treat all links equally? This is a question many think about when they deal with SEO. Does Google treat all links equally? . I will say a big NO. Internal links and External links - Both links are treated differently. If the External links are bad neighborhood sites then there are chances for your site to be dropped in search engine listing. Internal links spreads link juice according to the number of times the pages are interlinked. Relevant links and irrelevant links - If your website link to irrelevant theme site then there are possibilities for your site to rank low. Paid links or purchased links - Google and few search engines do not encourage Paid links that helps to pass link juice and this is considered as violation of Google's webmaster guidelines. As well all Paid links are not considered as violation. There are few solutions like adding no follow attribute to the link and by redirecting the link to a page that has been blocked by robots.txt. Anchor text HTML Links - Within the site the HTML links with Anchor text has the most value and passes good amount of link juice. Image Links - within the site Image links with most suitable and relevant ALT attribute gets the second level value and link juice. At this point, as far as links are concerned it plays vital role in both on-page and off-page optimization. So start planning before you go with the types of links. How Google Sitelinks are Created and Managed? Google site links helps users to get more idea on what the site or blog is actually about and Google site links are generated automatically for better user experience. We don't know exactly how Google algorithm works, including sitelinks and they the factors are internal to avoid users from manipulating search results. But still out of several examines and experiences we can understand how it works. Here is a list that can give you an idea on how it works. The Blog or Site that mostly lists first for a specific keyword(s) creates Sitelinks. Search engine friendly structured navigation. Good Blog or site visit from search results. Site or blog age and frequent content update. Good amount of useful internal links / outbound links. Inlinks from quality sites or blogs. This list may be a small part that helps creates sitelinks but these are important that works all time. By now as you know Google do not provide option to add sitelinks since it is generated automatically but Google provides site or blog owners and webmaster to remove / block sitelinks which they feel not needed. Google Webmaster tools can manage links in Google sitelinks. Hope you know about Google Webmaster tools and you might have configured you site or blog with it. In Google Webmaster tools we have an option "sitelinks" in "site configuration" navigation that can be found in left hand side of the dashboard. Expect now you got an idea how sitelinks works and if you don't have one to your site or blog, start working on it and if you find your existing sitelinks are to be managed, then work on Google webmaster tools sitelinks option. Ask your SEO / SEM / SMM Questions in Search Engine Watch Forums . You will get answers from me and fellow search engine industry leaders. Best! What type of Paid Directories does Google like? Many do think that Paid Directories are totally uncounted for sites ranking by Google algorithm and some think all paid directories are same for Google ranking. Which one do Google go with? This is all about title tag, have title catchy, short and keyword based. As we all know advertising using pay per click has become one of the effective ways for targeting the most prospective customers to your business. Your website can have a contract with any one of the search engines and can bid on the keywords that best suits your website and business. When your target customer searches in these search engines using these keywords, the search engine pops up sponsored ads as its search results. 1. Get to know what your search engine surfers generally type when they look for a site related to yours. 2. Come with as many as keywords possible to describe your website and products. 3. With this list of keywords, with the help internet, try to identify more keywords that are widely used by the surfers. Free online tools also can be used to simplify this task for you. 1. Pay per click advertising is quite competitive and can also go beyond your budget. So always try to bid on low competitive keywords that can also cost you quite less. 2. Keyword analyzer software is the best free software that can be purchased online and used for identifying which of your keywords are low competitive. 3. Keywords tools act very useful for PPC research as they give the low competitive words as well as the number of searches of that keyword and number of campaigns going on for the keyword, hence helping you not to exceed your budget. 2. Search engines like Google also allow you to score points through the relevancy of search items. Which means, more relevant is your ad – that is more times your ad is clicked, more points, hence your ad will be in the list that bids for the keyword. 3. Hence you can use your major keywords in these ads, which when displayed in the surfer’s search result has high possibility of the surfer opening your website. of the query words in the title. containing that word in the title. of the query words in the URL. containing that word in the URL. Music -inurl:htm -inurl:html intitle:?index of? mp3 ?Artist Name? Movies -inurl:htm -inurl:html -inurl:php intitle:?index of? (mpg|mov|avi|wmv) ?Movie Name? Where Artist Name and Movie Name are replaced with the artist or movie you wish to find file directories for. Do your Blog lists in Google Blog Search? Google Blog Search includes all blogs in their search results, The results are not just from blogger.com but also from wordpress.com and your own host blog. (3) Your blog not bringing the kind of visitors you want? We are happy when we learn new SEO tip a day. It may be a designer, developer, webmaster, SEO guy or a entrepreneur. Yes, here you can find a FREE SEO Tip of the day Google gadget, bug free one which will display a SEO tip per day. It’s just simple to add either to the web page or to the iGoogle, don't miss the SEO Tips. Your targeted keywords need to vary a lot in anchor. Limited number of “click here” should help you to have good link building. When it comes to English websites, it is commonly accepted that more weight-age (not the page rank) is got from links of related pages. Try not to have the back links all over the footage of the site or at one particular location. Try spreading it over the page, like top of page, or within the text, navigation, etc. Never try to place hundreds of link for a new site on the very first day. Gradually increase the number of links. This normally relates to the number of links a site gets. Hence if a site has an average of 20 links per day, then do not try to increase it to 200 links suddenly. Chances of being banned from Google are high. Focus on quality not to the quantity links. Having most of your back links from the adult sites or casino sites or pharmacy sites is not recommended and such sites are known for spam. Google tends to keep a track of all the IP, checks your links coming from different C Class IP or Not. So see to that all the links to your site comes from different websites. Always have a good combination of links from new and old sites. Reciprocal links are a good option for back links (Yahoo and Bing (Former MSN), but too many of them can be a problem too. 3 way linking is a good option. Do not make the mistake of underestimating the back links to your internal pages. Since SEO is done for your internal pages, have the back links done for these pages too. Use varied anchor for these internal pages too both as inbound and outbound links. Directories need to do some extra work on the links that you already have. Such directories need to be opted. Only a few selected directories like ODP and Yahoo are trustworthy. Other directories that might look good can even cause much problem to your links. So you need to be careful while submitting to directories. The time limit of back links seems to play a crucial role, and this is taken into serious consideration by the Google Sand box filter. So focus on links to be rented on long-term basis as far as possible. Google tends to devalue the back links that come from links that could have words like Advertisements and sponsors. So be alert while you look for back links from similar links. Google is seen to use the advanced relation algorithm and the co-citation system in its algorithm. Hence we need to be careful when we choose our back links. Do not have your links from the pages that are with bad neighborhood and also the sites that they themselves link to such type of sites. There are numerous factors that Google takes into consideration – like the IP Address, domain name, written language of the site, etc. Apart from these it is also very necessary to show the search results in the Google country specific searches. So be very cautious in deciding the language of the site when you design it for Google. Go through the above points very carefully and recheck your website and if any found in your website, rectify them. If you continue with those mistake, they could harm your website at any minute. The old and a good way to get links – I link to your site and you link to my site. This will be helpful if you have around 50 plus sites, which can help you to give and take most relevant links. And remember the rule: its always that you contact people and they do not contact you first. Search Engines are used to provide the most accurate results for your search queries. Still people have been trying to play with search engines. Search engines are regularly upgraded to provide better results and hence forth they cannot be misjudged if they give poor results due to bad search queries by the visitor. Still search engines are being developed to withstand all these tricks and provide the best of the results to the users. Spamming of search engines includes all possible ways to cheat the search engines, and it is to be noted that these methods put tour website at a very high risk.These practices that give us false results and the websites that fool us are penalised and they tend to lose their ranks or are blacklisted and are removed from the indexes of the search engines and can also go into serious legal issues. · Pages that are not meant for people who visit, but are generated by machines for search engine activities. · Pages that are not belonging to your main website, but instead are created for search engine purpose only. · Websites that consists a huge amount of keywords in the content, but the page is of no value. Search Engines now in usage handle spamming very effectively and if any spamming is found, the website can even be not indexed. In case if you are using any of these spamming techniques and these bring in a lot of traffic to your site, then be sure that this spamming technique is sure to be identified by the search engine or chances of any user also sending report about your tactics is high. This can very easily bring down your page rank and even be blacklisted and banned. Ethical practices always assure you long-term successful results and do not let you lose anything. While the Spamming techniques give you short-term success with very high risk, and hence this is not recommended. Search engines take the pride on giving valid information and hence they never allow anyone to fool them, and if they identify anyone on doing this, they are sure to be taken out of their web presence. To get Link building, SEO, Social Media and other Internet marketing tips follow Jag SEO @Facebook & jagadeeshmp @twitter. Google sitemap is for suggesting information to google regarding your website like page importance and updated web pages. Do it right now and google spiders and robots will follow your suggestion through google sitemap and it will be XML Format. Once you have created the google sitemap file, place it on your server and then visit Google Sitemaps to submit your map. Google site map can be generated by many online free tools.You can find the tool using the keyword "Google sitemap generator" in Google search engine. Login with your Google account and submit sitemap, before that you have to upload a Google verification HTML page, generated as a random number from Google. After next spider visit you can find google indexed new updated web page. This facility is mainly helpful for shopping and online product sale website. Does Changing ip Effects Domain Search Engine Rankings? Thanks for your time, leave a reply! Jagadeesh Mohan Kumar Nambiar, commonly known as Jag, an SEO, PPC and SMO advisor who has been blogging since 2005, and has been into Search Engine Optimization(SEO) for around 14 years plus, enjoys helping, teaching and recommends ethical SEO and other Digital Marketing practices. How to Improve Content writing using SEO to Rank in First Page? If you enjoyed the blog posts, feel Free to Subscribe RSS Feed! Sign Me and enroll first copy realistic SEO approach Ebook for Free (with Top SEO Professionals quotes and experience) - My 100% “NO-SPAM” Guarantee! Revised for 2017. The first "SEO Tip of the Day Gadget" since Google Gadget published. The Gadget shows a tip daily about SEO. Helps your visitors to learn one SEO tip per day.You can see a new SEO tip each day, it changes daily. Try now! Get in touch, if you like to have the gadget in your blog/site. © 2006 - 2017. The articles are copyrighted to Jagadeesh Mohan and can only be reproduced given the authors permission.